Lovin That! : How do they make you feel? This week Maya Angelou passed away. She seemed to live her life on a higher frequency. There have been many of her quotes floating around social media this week and this one really stuck out to me. I used to have what I called a bit of a "paranoia" if I said the right thing. I would never want someone to take things the wrong way because I know where my intention is. What I am getting more clear about with my own self and others is it's not what people say but their intention behind what they say and that's how you feel the words. 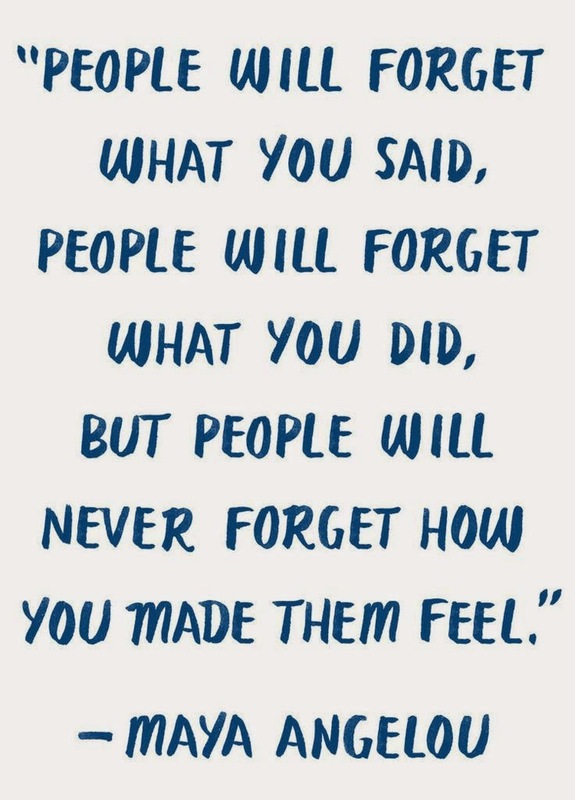 There is an energy around it and we all "feel" this around people. For me this is a good reminder to not worry so much about saying and doing the right thing, but to be clear on the energy I'm bringing forward in each situation which is what people feel.